For Pasco County, we are again seeing below market inventory numbers up to listed prices of $499,900. From $500,000 and up, the numbers indicate a normal market. The lowest inventory is under $149,900 which is at 1.52 months of supply, and up to $299,999 is at 2.29 months of supply, making it tough on first time home buyers in those ranges. 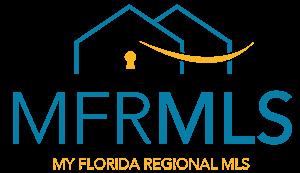 For Pinellas county, we are seeing below market numbers for all prices below $749,900. Above that we are seeing an oversupply of active listings. With winter season coming up, Pinellas's lower inventory may continue to decline since many areas of that county are busier during Fall/Winter Season. Hillsborough County mirrors Pinellas, in that inventories are below a normal market up to $749,900. At $750,000 and over, it becomes a normal market, then progresses to an oversupply of high end homes. Interestingly enough the number of price changes to new listings reveals that you have to be priced correctly to sell. If you look at the percentage of new inventory to price changes in the past sixty days you see that Pasco had 22% that took a price change, Pinellas had 24% and Hillsborough had 24%. Pretty close numbers in all 3 counties.